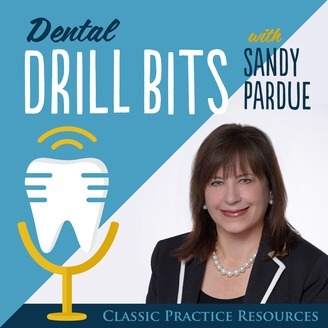 Sandy Pardue and Dana Salisbury, MBA, SHRM-CP of Classic Practice Resources discuss all issues facing the dental practice owner of today. This podcast show features the movers and shakers of the dental industry changing the shape of how we do business. Sandy is an energetic and highly competent lecturer and consultant in the area of dental practice management. She is Director of Consulting with Classic Practice Resources and has over 35 years of “hands on” experience in the dental field. In addition to being a practice developer, Sandy has presented workshops to dental teams at major dental conferences across the country. DENTISTRY TODAY magazine has named her a Leader in Consulting every year for over a decade. 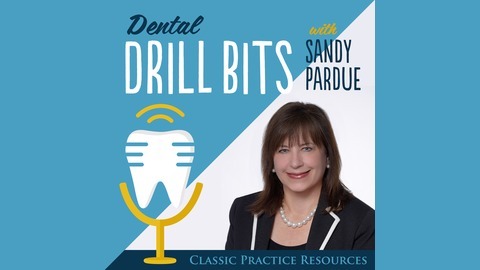 Sandy is a regular contributor on Dentaltown.com message boards and has been a featured writer for DENTALTOWN Magazine and DENTISTRY TODAY Magazine and blog. We're huge fans and it's no secret. Make it easy for patients to create a relationship with you and build your retention utilizing this system!